This is the second in our series about the different rules and regulations in regards to tree removal and pruning in your council area. 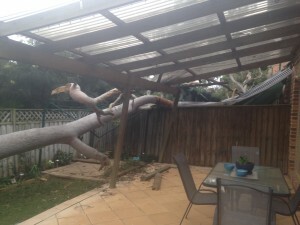 What can be trimmed or removed without Council approval? Also, permission is not required for any commercial or domestic fruit tree except Macadamia integrifolia. it has a branch spread of three metres or more. Permission will granted if it can be proved to council that the tree is dead or dying or that it has become a threat to people or property. To facilitate the approval process Council will sometimes require a report from a qualified Arborist to support your application. We can provide such a report. Contact Bob & Ben for further information should you need a report. Once completed, your application must be lodged at the Hurstville Civic Centre Customer Service Centre. An application fee must also be paid upon lodgement. HCC’s Tree Preservation Order aims to keep as many trees within the HCC area as possible and it is what will determine the outcome of your application. The following reasons are NOT seen as adequate justification for pruning and/or removal.